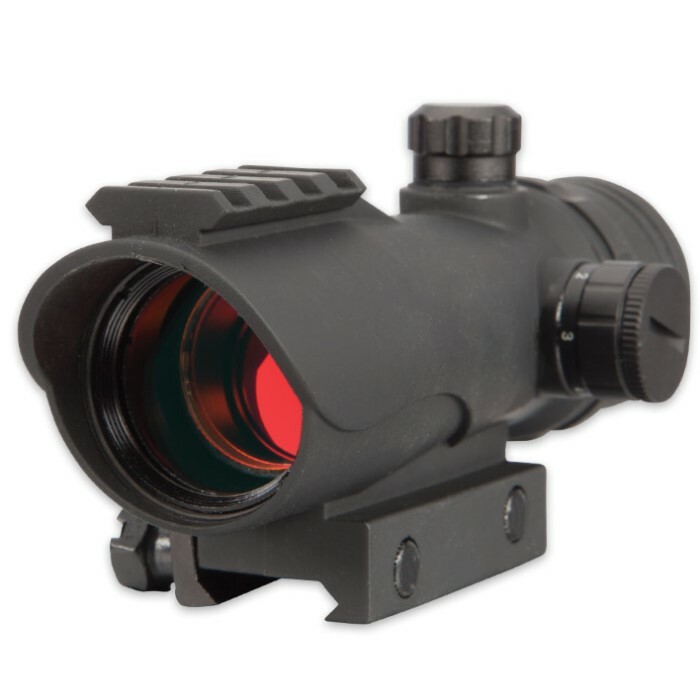 Valken V-Tactical 30mm Reflex Red Dot Sight - Black | BUDK.com - Knives & Swords At The Lowest Prices! Valken's V-Tactical Red Dot Sight provides faster and easier target acquisition in a package that's lightweight, well balanced and surprisingly affordable. 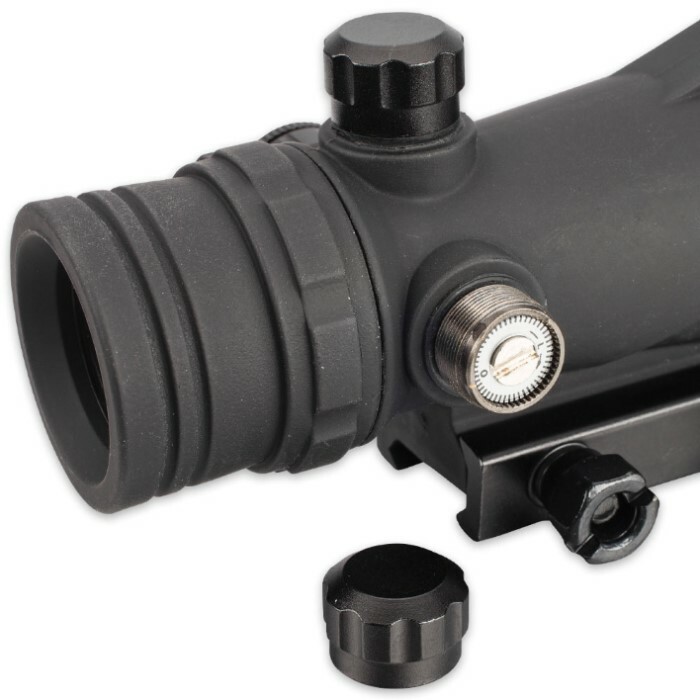 Extraordinarily versatile, its highly visible CQB (circle plus center dot reticle) features five adjustable intensity levels perfect for a range of environmental lighting, from black of night to strong, direct sunlight. It features an integrated Picatinny mount and a top accessory rail that's great for adding lights, lasers and myriad other enhancements. At just 5 3/5" long x 1 1/10" high, the compact V-Tac Mini Red Dot Sight won't impede vision or movement. Its fiber reinforced molded polymer housing is lightweight yet remarkably strong - more than capable of standing up to years of vigorous use and harsh conditions. Adaptable lighting, easy mounting, low profile form and incredible strength all combine to make Valken's V-Tactical Red Dot Sight the ultimate companion in airsoft, paintball or even tactical firearms shooting - perfect for small indoor combat arenas, expansive outdoor mil-sim fields and every venue in between. A single CR1620 battery (not included) affords hours of operation. Available in nonreflective flat black or tan, we've got a V-Tac sight tailor made for you and your rig.